If only every month could be October. My October Bucket List is a little different this year then it was last year. First off, Libby is now at the “fun” age. No longer my squishy baby, but a tiny independent-thinking toddler. I can officially pile on the family friendly Halloween madness and she will actually enjoy it (pumpkin goop!). Secondly, to do something nice for my husband, I started watching football. It’s not as fun to watch by yourself. To my surprise, it’s actually been very exciting, especially since the Lions are off to such a great start this season. As an added bonus, it also means game-day foods on Sunday. 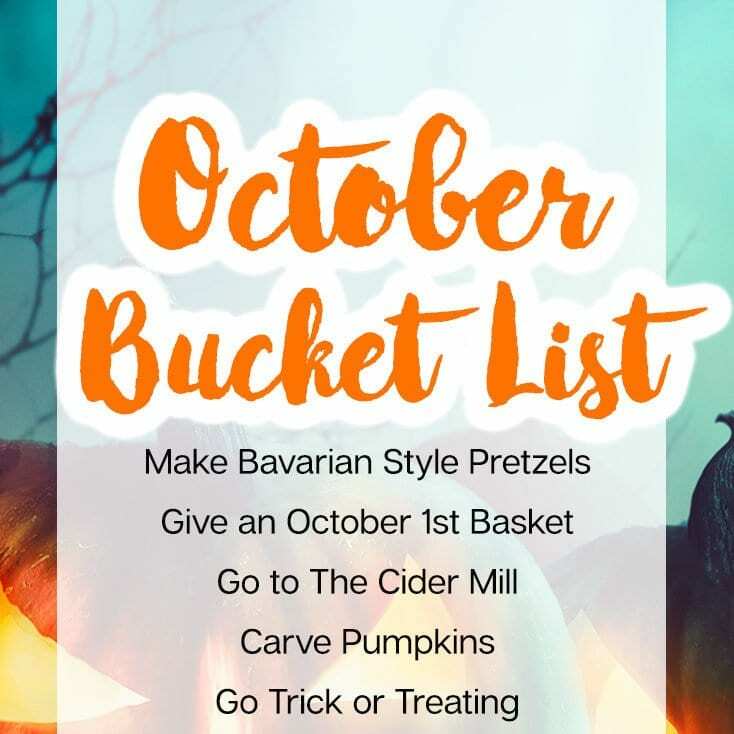 To kick-start this October, here are some new and traditional items for our October Bucket List. Give an October 1st Basket – A special basket for Libby to start celebrating Halloween. Make Bavarian Style Pretzels with Dipping Sauce – I always wanted to try these. Oktoberfest seems like the perfect time. Go to The Cider Mill –It can’t be Fall without an official trip to the Cider Mill. Carve Pumpkins –This will be extra special with a toddler. I can’t wait to play with the pumpkin goop. Go Trick or Treating –I should also add, “pick-up the ‘good’ candy,” Nobody wants to be the house handing out butterscotch. Visit A Local Kids Halloween Event –There are so many family friendly events for kids at Halloween. Definitely a new tradition to start while the kids are little. Pick Pumpkins (From Our Pumpkin Patch) –We grew our own pumpkins this year. We’re going to be picking those. Most likely we’ll be picking up some large carving pumpkins. Only one of those made it. Make an Apple Dessert – Apple turnovers, apple pie, dutch baby, some kind of apple dessert will be made. Watch Hocus Pocus & Practical Magic – Two of my favorite Halloween movies. Decorate the House for Halloween – Start early on October 1st. Play Halloween Music on Vinyl –Most likely while we are carving pumpkins. Jump in A Pile of Leaves –Sometimes the majority of our leaves fall in November. Time will tell with this one. Make A Halloween Treat – Make something Halloween inspired. There is always the cupcakes from the Toddler Halloween Basket. 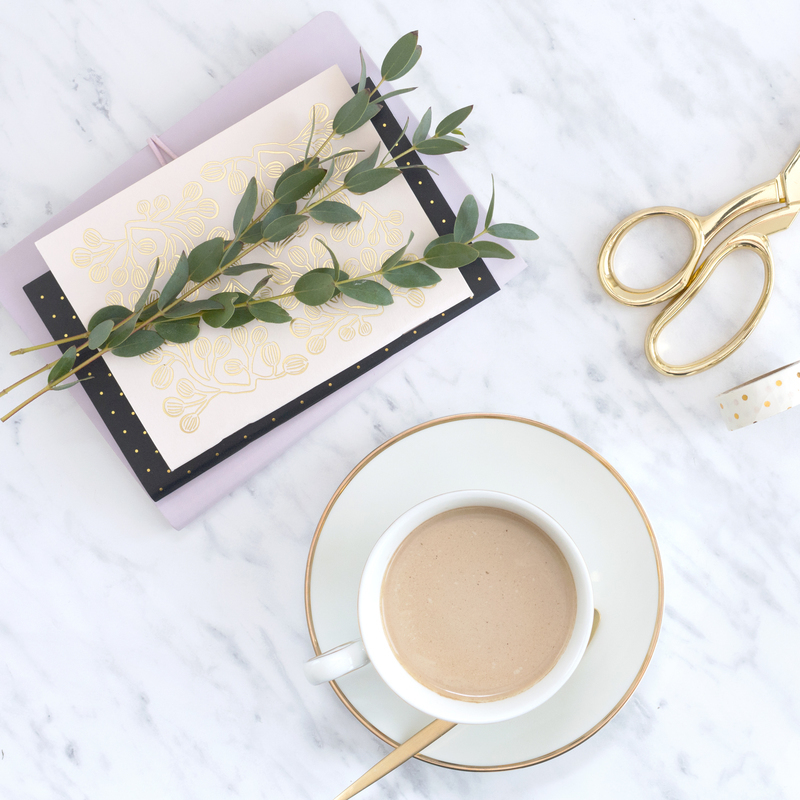 Drink A Pumpkin Spice Latte – A definite must for any fall drive. 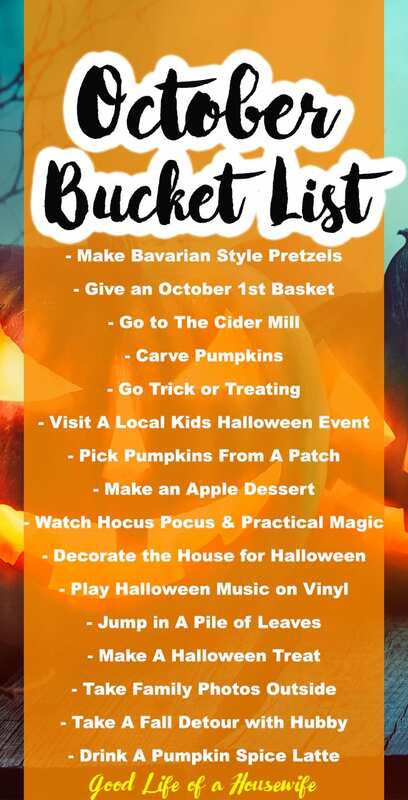 What are your family’s favorite October Bucket List items?